I am often asked why I formulated dietary supplements for adrenal fatigue. During my practice, the idea had been on my mind for a number of years. I saw early in my clinical work that most people suffering from adrenal fatigue need more than just lifestyle changes and alterations in their food intake. When the adrenals respond to stress, cell metabolism has to speed up, burning through many times the number of nutrients normally needed. By the time the adrenals reach the state of adrenal fatigue, the cells have used up much of the body’s store of certain nutrients and are in desperate need of new supplies to continue to minimally function, let alone recover. Normally, good quality food is the best source of these nutrients, but once depleted, the adrenals need more than diet alone is likely to provide. I found, clinically, that supplementing with specific concentrated nutrients markedly increased my patients’ ability to strengthen adrenal function and recover their health. I began using adrenal extract tablets with my patients with adrenal fatigue and found that they slowly improved over time, but their progress was too slow for my liking, no matter which adrenal concentrate they took. However, by combining concentrated, hormone-free extracts of the glands most involved in the stress response, we were able to achieve much better outcomes than we had using them singly. Applying my knowledge of nutrition, I started adding specific nutrients one at a time, and through trial and error discovered that most people suffering from adrenal fatigue and similar stress related health problems need much more of some nutrients than others. As nutrient after nutrient was added, people began responding and recovering more and more quickly, and then recovering more fully. At first, I treated each person individually, trying to determine their optimum dosage for each nutrient. Over time, though, it became apparent that most people with adrenal fatigue need the same nutrients, only varying in quantity depending upon severity. The more severe the adrenal fatigue, the more of these specific nutrients they needed to sustain themselves, function well and recover fully. To make Herbal Adrenal Support Formula I drew on scientific research, my years of clinical experience and my formulating skills to combine four high quality, organically grown, adaptogenic herbs that each offer benefits to the stressed body. Taken together two to three times a day and once before bedtime, they help balance functioning of the hypothalamic/pituitary/adrenal (HPA) axis that regulates the stress response and adrenal activity. The result of this balance is an increased inner calmness and steadiness that allows people under stress or with adrenal fatigue to function on a more even keel during the day and sleep more soundly at night. 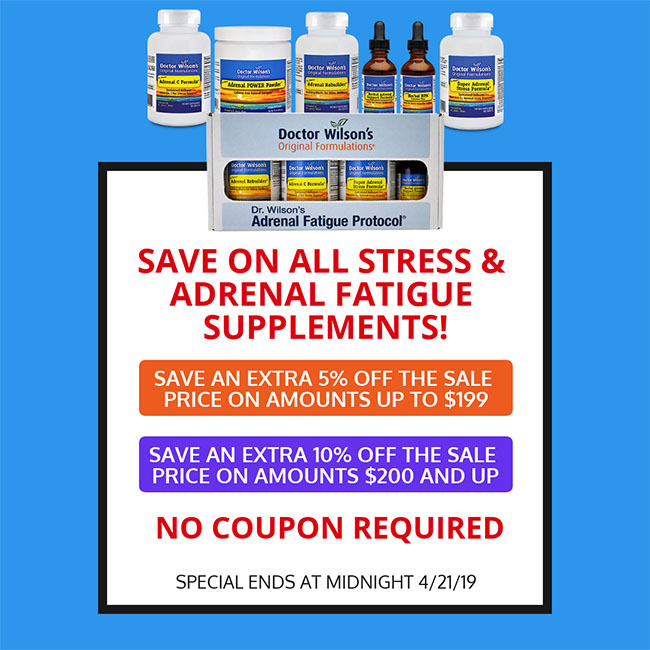 I found the two formulas together worked beautifully for adrenal fatigue, and Super Adrenal Stress Formula soon proved to be a stand-alone supplement that supported people under stress better than anything else I had ever used. Observing their effects, I began to refer to Adrenal Rebuilder as the “mechanic” and Super Adrenal Stress Formula as the “accelerator” for the adrenals. People started writing and calling to tell us how much they were benefitting from these two products, and this became the most important reason, to me, for forming a company that could continue and expand this work. I realized that if we did not, there was nowhere else people could get products that worked like these. Since I had seen the suffering of people experiencing stress disorders and adrenal fatigue for many years, I became even more committed to establishing a successful company that would never compromise on quality or effectiveness. I wanted people to be able to always count on us to provide them with products that worked harmoniously with the processes of their bodies to maintain and noticeably reinvigorate their health. 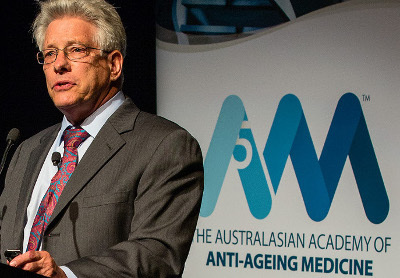 It was – and is – important to me to help as many people as possible to once again be in balance and know sustainable health, regardless of how long they have experienced the discouragement of struggling alone with adrenal fatigue or related health problems. As I began looking at what else I could do to support this rapidly growing group of stressed people, I noticed an interesting paradox. The adrenal glands use more vitamin C per cell than any other organ or gland in the body, especially during stress, but people with adrenal fatigue are mildly acidic and vitamin C is acidic in its most common ascorbic acid form. The adrenals do not need more acid, but they do need more vitamin C. The resulting supplement, Adrenal C Formula, is the complete stress vitamin C that I mention in the book and has proved to also be a superior vitamin C that can be taken by anyone. People soon began reporting another advantage – it did not burn their stomachs like other vitamin C supplements had. Some said it was the only form of vitamin C they could take, and took it even though they did not have adrenal fatigue. This was welcome, but unexpected. This completed what we now call the Adrenal Fatigue Protocol. Adrenal Rebuilder provides bioavailable raw material for the glands of stress to build and strengthen their structure and function; Super Adrenal Stress Formula provides an optimal balance of sustained release nutrients essential for energy, adrenal hormone production and healthy stress recovery; Adrenal C Formula provides pH balanced, sustained release, antioxidant vitamin C optimally enhanced by bioflavonoids and minerals needed during stress; and Herbal Adrenal Support Formula combines herbs specially selected to help balance the HPA axis, which is central to the stress response and healthy adrenal function. As I worked with various people taking these supplements, I developed protocols for their combined use that maximizes their therapeutic value, and codified these protocols as my Program for Adrenal Fatigue. This program, accompanied by the lifestyle improvements and dietary changes described in detail in the book, has been the best way I have found to help people with adrenal fatigue. The benefits of strong, healthy adrenals include steady energy, sound sleep, responsive immune function, hormonal balance, the ability to concentrate, and the ability to handle and rebound from stress.